Meridian - Ranch floor plan to be built in fast selling community of pool sized yards, located near major shopping, restaurants & businesses yet nestled in a country setting. Beautiful 2 story foyer greets you with elegant flex space room that can be used as a living room or formal dining room. Kitchen opens to the family room with breakfast bar plus a separate center island and large eat in area. 2 bedrooms on one side and spacious master bedroom privately located on the other end with a tiled shower and frameless glass door. Room over garage 4th bedroom or flex room offers an optional full bath...prepare to be impressed! 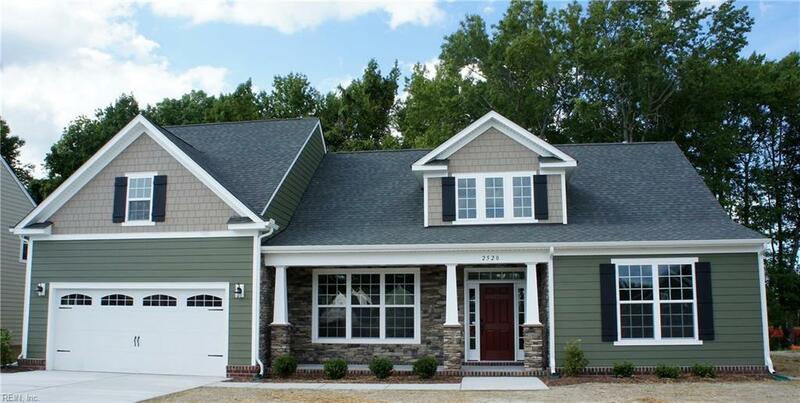 Model open daily 12-5pm, located off Elbow Road, 1/4 mile from Centerville Turnpike N. Just minutes to Virginia Beach.